Good news: you’re on a card. 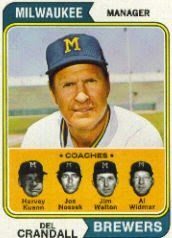 Jim Walton coached first base for the Milwaukee Brewers from 1973-75. He witnessed the launch of two superstar careers. Coming Thursday: Helping Team USA win a gold medal!